David M. Majchrzak is a seasoned ethicist, civil litigator, and certified specialist by the State Bar of California in legal malpractice law with significant motion, trial, and appellate experience. He works primarily out of Klinedinst PC’s San Diego office. Mr. Majchrzak devotes a substantial portion of his career to counseling his clients on how to achieve their professional goals in an ethical way. For those attorneys who do not have general counsel in their firm or who simply need practical, outside advice, he helps navigate the often complex ethical waters of the legal profession. Mr. Majchrzak performs law office risk management reviews, trains law firm staff in ethics requirements, and advises on a variety of topics. These include conflicts of interest, fees and billing requirements and dispute handling, trust account procedures, law firm advertising and online marketing efforts, engagement and common interest agreements, non-engagement and disengagement protocols, attorney-client privilege/confidentiality analyses and protection, subpoena response, multi-jurisdictional practice, lawyer mobility, and ancillary business ventures. Mr. Majchrzak, who has achieved Martindale’s highest AV®-Preeminent™ rating, is very active within the legal community. Mr. Majchrzak currently serves is the immediate past chair of the San Diego County Bar Association’s invitation-only Legal Ethics Committee. He also serves as the chair of the Integration and Engagement Committee and a member of the Future of Lawyering Committee of the Association of Professional Responsibility Lawyers. 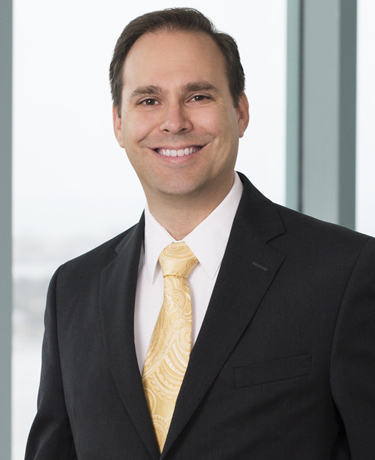 Mr. Majchrzak recently completed service as a three-year member of the State Bar’s Committee on Professional Responsibility and Conduct, and chair of its outreach committee. In 2015, Mr. Majchrzak revived the then-abandoned Ethics Quarterly, and has continued as one of its two editors, a role that he continues in. Mr. Majchrzak has also been active within the American Inns of Court. He served for four years as president of the William L. Todd, Jr. chapter and two years on the national program awards committees. Mr. Majchrzak is a director and secretary for both the San Diego County Bar Association and the Association of Discipline Defense Counsel. He has also served as a judge for Teen Court, an attorney instructor for mock trial competitions, a director of the Kiwanis Club of Poway, and in various other voluntary professional and community roles.